When it comes to boosting the value of your property, homeowners needn’t invest thousands of pounds in an extension or a new landscaped garden. 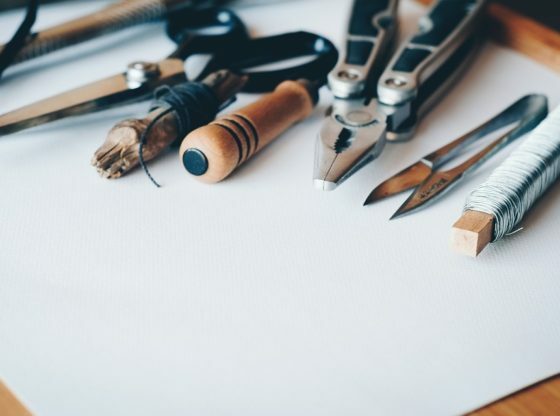 In fact, even the smallest DIY projects, when carried out correctly, can help boost the value of a home and help offset against any fluctuations in the UK property market or unforeseen developments such as the closure of a transport link or erosion of green space and views. What’s more, many of the most effective DIY makeovers can be carried out over the course of a weekend without any specialist help, unlike loft conversions or conservatories which, although they can set a home way above neighbouring properties in terms of price and appeal, usually require a large net outlay and considerable inconvenience. And, with space at a premium in cities, working to make rooms feel bigger is one of the best ways to boost a home’s value for when it’s time to move on, as well as make a home more liveable for the time being. You can also change and improve your home and make it look more spacious by changing the flooring. You may want to search for things like the different types of flooring available and whether they commercial and residential floors. If you are looking for someone that provides an environmentally friendly, green star accredited service, we recommend contacting companies such as Skilled Floors. This flooring company offers many different flooring services such as vinyl, lino and other commercial services. Easy-to-use roofing systems such as EPDM mean you can easily repair/replace your damaged flat or low pitched roof. Use Rubber Roofing Directs video guides to show you how you can install your rubber roofing yourself – with the right tools used, of course. The reason EPDM rubber roofing is so widely used in the construction industry is because of its ability to cope under all weather conditions and due to its flexibility, making it much easier to install. If you have any more questions about rubber roofing, visit this website. Even roofing contractors rave about this type of roofing! Even the smallest of spaces can be transformed using any number of clever optical illusions. However, for the best results, it’s advisable to bear in mind that, the lighter and brighter a room is, the bigger it will appear, while dark tones will only serve to emphasise the lack of space. For example, fitting a mirror – the bigger the better – will add to the illusion of space, as will the inclusion of any windows, however small they may be. Likewise, opting for light, neutral colours can help in creating a sense of space and flow, while any complicated patterns or centrepieces should be located at the end of a room so as to draw the viewer’s attention down the length of the space in question. Other visual tricks include emphasising height rather than width and length through striped wallpaper or other patterns, while it goes without saying that a minimalistic approach to furniture and a zero-tolerance attitude to clutter will help make a space seem not just smarter, but also bigger. Find out how you can declutter your home! When it comes to city living, open-plan is the way forward, with buyers willing to pay a premium for the illusion of extra space one long, single space provides. Fortunately, achieving this can often be possible without any expensive professional help. Take a look at these ideas. Researching such a project online prior to bashing through unnecessary internal walls is essential, with homeowners urged to know their limits before embarking on such a rewarding job. For those wary of taking on such a task on their own but unable to afford to bring in the builders, making use of built-in storage solutions so as to minimise wasted space can have similarly pleasing results, both in terms of aesthetics and property value. But don’t forget the amount of waste that can be produced! It is important to carefully dispose of all waste that has been collated over your DIY projects. You may not have time to go to the dump yourself, so why not get in touch with a rubbish clearance company? Click here for Any Waste.